Ube Crinkles are soft, moist and bursting with Ube flavors. 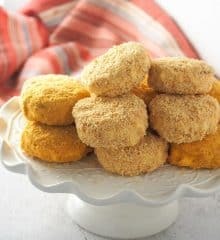 These classic cookies with a tropical twist are so easy to make and perfect for coffee or tea time. Hi, it is Bebs here again for yet another ‘YAMmy’ goodie. Today, we will be giving a popular cookie a delicious Pinoy twist. We’re making Ube Crinkles! Purple yam has been one of the trending food on both social media and the international food scene in recent years. 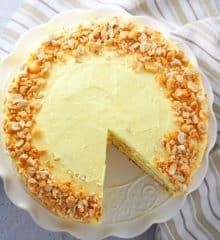 I am so excited to find a good number of restaurants have enthusiastically embraced the trend and have started to incorporate this lowly tuber on their dessert selections in the form of ice creams, cakes, cupcakes, doughnuts, flans, and cheesecakes. With its rise in popularity, other parts of the globe are taking a second look at Filipino food. I am not sure if Ube will remain in fad, but one thing is for sure, it will always hold a special place in our local cuisine. Crinkle cookies are soft, chewy cookies coated with powdered sugar before baking to produce their unique crackled exterior. They are commonly made with chocolate but are also adapted to various flavors such as lemon, vanilla, red velvet, and ube. Good Ube crinkles start with a good ube jam. Although extracts can help enhance the ube flavor, nothing beats the natural taste of pure purple yam jam. Good Shepherd Ube Halaya is our favorite, but I am sure there are other great quality brands available in the market as well. Step 1: In a large bowl, cream together sugar and vegetable oil. Add egg and beat until frothy and pale in color. Step 2: Add the ube jam and extract and continue to beat until well blended. Step 3: Gradually add the flour, baking powder, and salt. Using a spatula or electric mixer with dough attachment, mix until a very sticky dough forms. Add violet food color, if desired, to achieve a deep purple color. Step 4: Cover bowl and refrigerate for at least 4 hours or overnight. Alternatively, place in the freezer for at least 2 hours. Step 5: Scoop a spoonful, 1 to 2 inches in diameter, of the chilled dough and drop it into a bowl of powdered sugar. Gently roll each ball in powdered sugar to thoroughly coat. Step 6: Place the balls on the baking sheet at least 2 inches apart. Bake in a 350°F for about 10 to 12 minutes. Step 7: Once done, let the cookies stand for 1-2 minutes on the baking sheet and then transfer to a cooling rack. I hope you give this crinkle cookie recipe a try. Want more baking projects? Check out my Pan de Coco, Buko Pie, and Pianono posts. Make sure to visit my blog, Foxy Folksy, for more delicious ideas. Till next time. In a large bowl, cream together sugar and vegetable oil. Add the egg and beat until frothy and color becomes pale. Add the ube jam and ube extract and beat again until well blended. Gradually add the flour, baking powder, and salt. Mix using a spatula or electric mixer with dough attachment. The dough will be very sticky. Add violet food color, if desired, to achieve a deep purple color. Cover and refrigerate for at least 4 hours or overnight. Alternatively, place in the freezer for at least 2 hours. Scoop a spoonful, 1 to 2-inch in diameter, of chilled dough and drop into a bowl of powdered sugar. Roll dough in powdered sugar to thoroughly coat. Arrange at least 2 inches apart on a baking sheet. Bake in a 350 F for 10 to 12 minutes. Remove from oven and let the cookies stand for 1-2 minutes on the baking sheet and then transfer to a cooling rack. Do you have a chocolate crinkels recipe? Can I use boiled/mashed ube? Yes, you can. You might need to adjust the amount of sugar as halaya is already sweetened. Hi 👋🏽 I’m hoping to try this recipe soon, but I was curious if ube extract would be completely necessary? The ube extract heightens flavor and deepens the color but you can omit it if you don’t have any on hand. 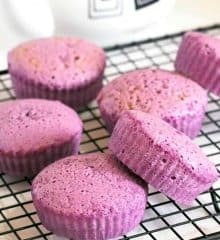 Can i use ube powder/purple yam powder instead of ube jam? Yes, you can use ube powder, just reconstitute it according to the package’s directions. You may also need to adjust the amount of sugar as the ube halaya is sweetened. Will using sugar substitute like stevia work with the recipe? It actually didn’t taste like ube and wasn’t even sweet enough. I’m sorry but your recipe wasn’t great. I am sorry the recipe disappointed you. The sweetness of foods is subjective and my contributor, Bebs, made the recipe according to her own tastes. I hope you give the recipe another try and increase the amount of sugar if you like. It took me awhile to find ube jam. Does your recipe take into account the sugar already in ube jam? I found McCormicks ube extract but it didn’t have an expiry date, did yours have one? Yes, the ingredients have been adjusted to allow for the sweetness of the ube jam. I just checked my bottle and it does have an expiry date, it’s on the top part of the back portion of the label. No, the extract is not clear, it’s dark violet in color.